'Lanark' is one of the great novels of our time, a surreal mural of unsettling images and ideas vigorously coloured with anarchic humour, an epic fable that subverts submission to hypocritical social codes. On its publication in 1981, Scottish literature discovered a wider sense of the possible. Like all of Alasdair Gray's work, 'Lanark 'is conceived out of a vision of creative, egalitarian self-regeneration for Scotland. 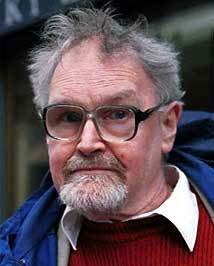 Alasdair Gray was born and brought up in Glasgow, where he still lives. His experiences there, as an art teacher, muralist and theatrical scene painter, provided material for the autobiographical elements in his novels. He designs his own books, from their bold dustjackets to their decorative covers, to their illustration and typography. Among his jests with publishing conventions is a spoof erratum slip 'inserted by mistake' in 'Unlikely Stories Mostly' (1983). 'Poor Things' (1992) won the Whitbread Book of the Year Award. Alasdair Gray worked for 10 years on 'The Book of Prefaces', published in 2000 – a tour de force of wit and erudition.